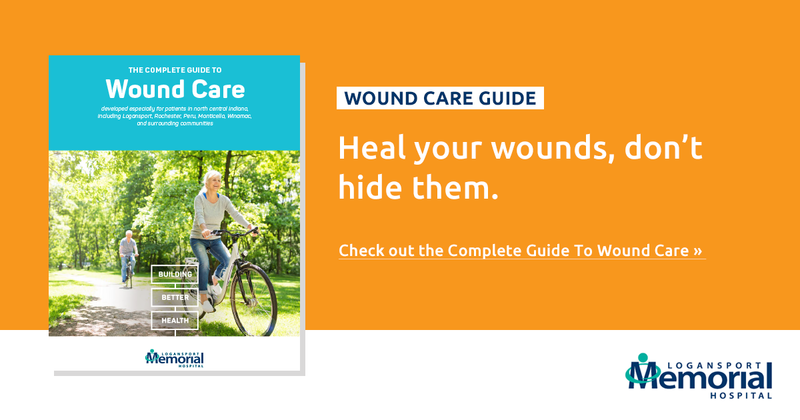 A medical wound is an injury that affects living tissue. It is usually caused by a cut or a blister that breaks the skin open. The body is uniquely designed to deal with and heal wounds. However, sometimes the body needs help. During the wound healing, the affected area becomes surrounded with dead tissue. This necrotic tissue does not carry blood to the wound and is extremely harmful to the body's ability to recover and develop new skin. Diabetes is a condition where the body does not use sugar efficiently. Elevated sugar levels cause a narrowing of the blood vessels. These blood vessels "stiffen" and become less effective. This is what causes your poor circulation. Additionally, prolonged exposure to high blood sugar causes damage to fragile nerve fibers. This is called Diabetic Neuropathy. Over time, you begin to lose the ability to "feel" a problem area. Simply put, diabetes related nerve damage reduces your ability to discover potential wounds, especially in the extremities like the foot. A blister left untreated can quickly become a deeper sore, because the body's ability to heal itself has been hindered. Wounds are never pleasant. In a person with diabetes they are more than unpleasant - they are dangerous. Diabetes impairs blood circulation which prolongs wound haling. It is a dangerous mix. Wounds that do not heal become infected. Infected wounds cause hospitalization. Diabetic patients are very susceptible to foot wounds. Blisters develop into ulcers quickly and with little warning. Foot ulcers are the most common wound wound for diabetic patients. When talking about extremities like the foot, untreated infected wounds often lead to amputation. First and always, control blood sugar levels. 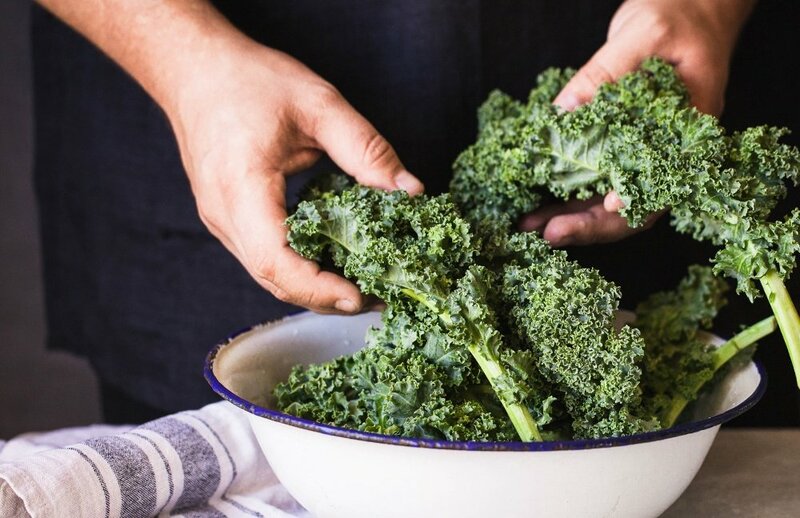 Eating a healthy diet regulates blood sugar levels and provides the right type of energy your body needs to boost the healing process. Inspect your body (especially the feet) and wash daily. Pay special attention to areas between layers of skin. Regularly check for blisters and open wounds. Make sure the feet and hard to reach places are dried thoroughly. Enlist the help of someone to inspect places out of your eyesight. Keep your toenails trimmed. Wounds always start small. If left unnoticed, something as simple as a toenail that's to long can cut the inside of a toe and force the patient to deal with a foot wound. Wear socks and shoes, even indoors. Be careful when breaking in new shoes to prevent blisters from developing. Carefully wash any cuts or blisters using soap and water. A mild over-the-counter antiseptic may also be used. Do NOT pop blisters. Avoid extreme temperatures. Never place your feet under heating pads or near portable heaters. This weakens the skin and numbs the foot tissue making it harder for the patient to discover potential troubled areas. Even with the best plan for preventative maintenance, a patient may still need professional medical help. Once a wound has manifested, it is critical to get the proper treatment plan in place as soon as possible. When it is time for something more, Logansport Memorial Hospital is here. 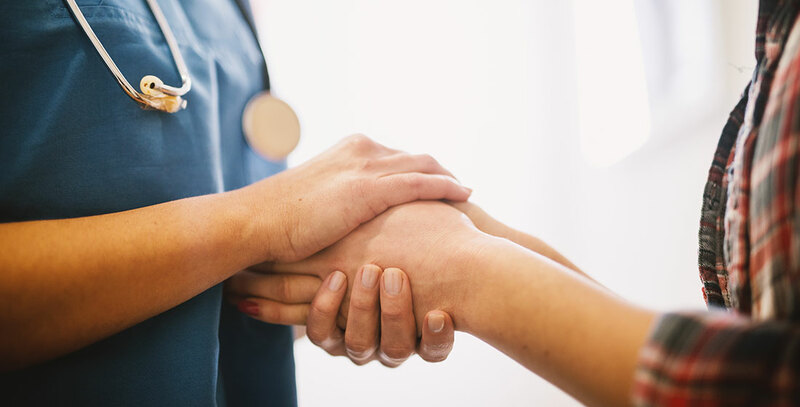 Our multidisciplinary team of health care professionals is ready to help you. 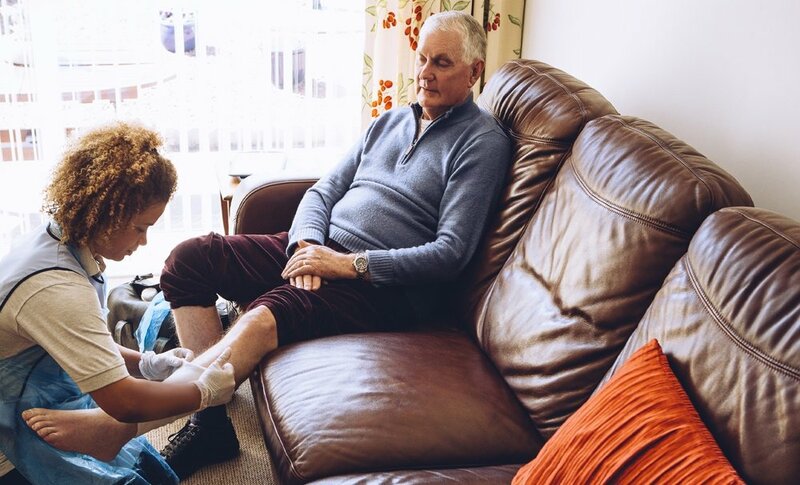 Our state-of-the-art equipment and wound care specialists have helped hundreds of diabetic patients develop a routine to help you put your best foot forward.